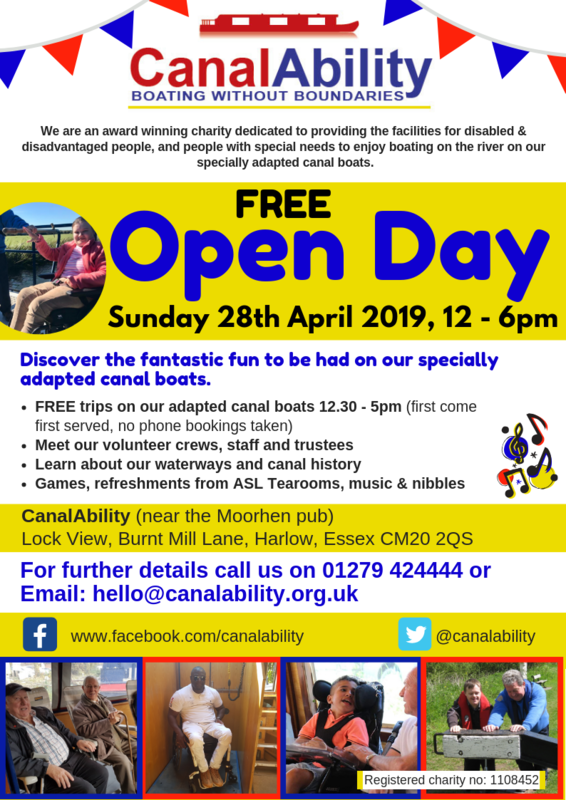 CanalAbility Free Open Day – all welcome! Find out more about CanalAbility at our Free Open Day on Sunday 28th April 2019, 12 – 6pm. 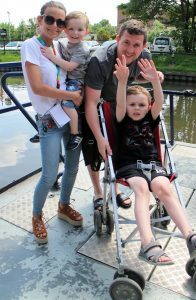 Last year’s Open Day was a huge success and we welcomed people from all over the region, many of whom enjoyed a free cruise on our specially adapted canal boats. Take a look at the photographs from our Open Day 2018. Discover the facilities on-board our adapted canal boats which are accessible to wheelchair users or people with impaired mobility and available for day hire, short-breaks and longer holidays. No need to book, just come along and join in the fun! Tell your friends you are going and share our event on Facebook!